Portland, OR, USA, August 31, 2016 — The IntelliCAD Technology Consortium (ITC) today announced the release of IntelliCAD 8.2a. IntelliCAD 8.2a is a maintenance release that contains over 125 improvements and fixes since the IntelliCAD 8.2 release on July 1, 2016. 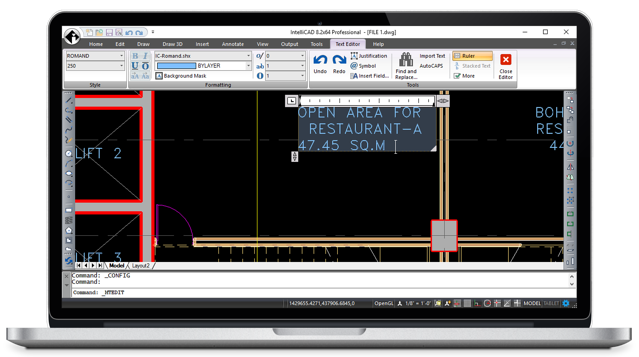 Improvements in IntelliCAD 8.2a include various fixes for working .dgn files, external references, the user interface, and many more, as well as small additions such as new RIBBON and RIBBONCLOSE commands and a new FILTERS command.